Our professionals will make your bathroom dreams a reality! Design services available with the purchase of your cabinetry. Check out our top-of-the-line countertops to fit your exact needs! If you are in the greater Binghamton area and need some cabinetry work done, you have come to the right place. Click here to check out all the cabinet lines we provide at Competition Kitchens & Baths. Come and take a look at all countertop products Competition Kitchens & Baths provides in the greater Binghamton, NY, area. Competition Kitchens & Baths prides itself on their classy, professionally handled kitchen remodeling. Check out our Brag Book and see all the work we have done! 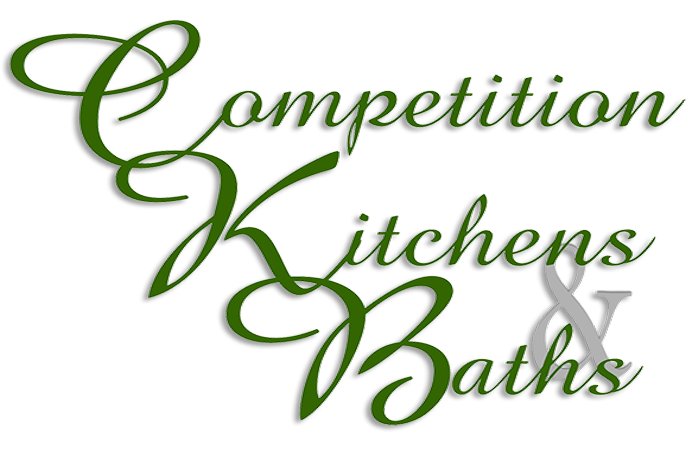 Competition Kitchens & Baths specializes in permanent, stylish bathroom remodeling for your enjoyment for years to come. Want to see more? Check out our Brag Book to see all the outstanding bathroom remodeling work we have completed for our clients. Have a kitchen or bath that doesn't fit your personal style? How about old and outdated cabinets that need replacing in any room of your home? You've come to the right place. For over a quarter century, Competition Kitchens & Baths has specialized in customized kitchen, bathroom and cabinet remodeling for the greater Binghamton, NY, area. Call us today at 607-953-4261 for your kitchen or bath consultation. Our only goal at Competitions Kitchens & Baths is to see that our customers are 100% satisfied. Anything short of this and we have failed. We start with a free detailed consultation to lay the groundwork. From a simple cabinet replacement to a full kitchen renovation, we will asses your goals and figure out what will work best. We make sure to cover all details before the job starts. The more information we can gather from you, the better we will be able to exceed your expectations. We have many years of experience and will do everything possible to make your remodeling venture a success.